With all the innovations happening in the insurance business, now is the time to take advantage of such trends like InsurTech and be proactive instead of constantly trying to catch up or defend what you’ve painstakingly established. In 2016, a survey proved that nine out of ten insurance executives believed that at least part of their business was at risk to Fintech (Opportunities await, 2016). Then a year later in 2017, 86% of insurers believed that they must innovate at a much faster pace to keep a competitive edge (Accenture, 2017). By evolving with technology and adopting InsurTech, these insurance companies can have more peace of mind that they won’t get swept away. Technology is advancing every day. Here are five trends in InsurTech for 2018. Most major insurers are already involved with a blockchain initiative, and this trend is going to grow as this technology continues to prove itself as a solution. 71% of business leaders that are actively using this initiative believe that blockchain plays a significant role in technology advancement, showing widespread support for blockchain to become an industry standard (Novoseltseva, 2017). The biggest impact of blockchain on insurance affects the wholesale, commercial, and reinsurance departments. This allows your company to serve clients through faster, more convenient, and secure services. It also streamlines paperwork along with improving the flow of information and money. All of this means increased efficiency, and the AI software is a large contributor to helping things run smoothly and more quickly. 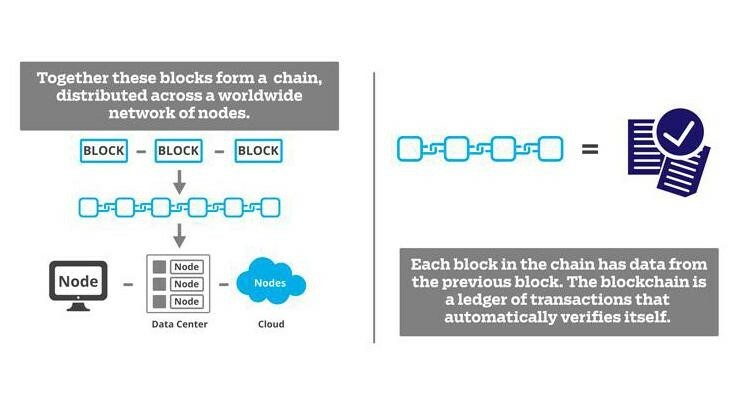 The figure below simplifies how blockchain works and shows how it becomes an efficient automation. A winning insurance company needs to be a part of the customer’s daily life and using the data from connected devices is a great way to do that. The number of connected devices that are accessible for data mining increases by 5.5 million everyday (Watson 2017). That’s a lot of new opportunities to gain insight. However, it doesn’t stop at just collecting the data. Something has to be done with it. Data streams should be turned into insights, and these insights need to be transformed into new propositions and services. Exploring how the customer interacts with your company daily will better serve you in fulfilling their needs and wants. They’re already telling you want they want by how they use your services. The figure below reveals InsurTech’s increasing emphasis on business analytics and data in the field. The all-in-one policy has greatly increased in popularity. One comprehensive policy with a fair price and flexibility in coverage suits the customer of today. It’s simple and customizable. Wouldn’t you rather keep up with one insurer for all your needs than three or even four? The platform can help advise the customer on the best package for them, and this AI capability is pretty straightforward to design. A win for the customer and the insurer. This is a big move towards personalization just as much as simplifying policies, which all creates a more convenient experience for the user. The figure below reveals usage-based insurance policies growing, which is the kind of automated customization users want like the all-in-one policy. Size and presence can be an issue for a single company but teaming up with multiple companies instantly increases the reach of both of these. One successful example of this is the InsurTech Hub Munich, which was launched in July 2017. 180 InsurTechs have ties with Munich. This initiative is unprecedented, boasting twelve insurance carriers working together with universities and research institutions. Combining resources and platforms with competitors will cut out the work of competing with their technology. Again, this relates back to being proactive instead of always being on the defensive. This push is being made across all industries of all kinds all over the world. Although not unique to insurance, automation fully replacing human effort will greatly impact the insurance business. Customer demands for cost-effective efficiency are driving the move to automation. Today’s consumer prefers a digital experience with no human contact that’s easily accessible wherever the user is. Frontier Reconciliation saw a 60-80% improvement in efficiency after reducing manual tasks and applying automated reconciliation (Fiserv, 2017). A lot of the trends we’ve already discussed are rooted in the use of AI processes, which we’ve seen is an overall boost in efficiency. Manual work simply takes longer and leaves more room for error. Today’s customer also desires on demand services and information, which is most easily and readily taken care of through automation. The figure below provides statistics on how automation improves accuracy, efficiency, and speed. 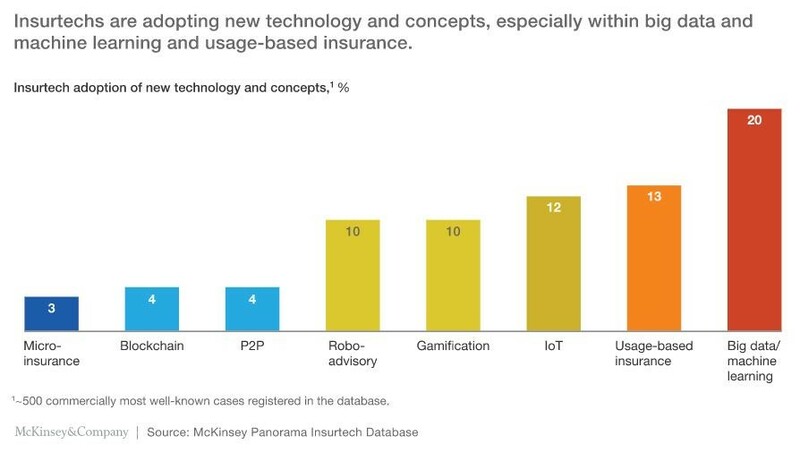 Based on InsurTech’s growing importance in the industry over the last few years, these trends are going to dictate how successfully your company operates in the digital world. In 2018, the digital world is more important than ever for the consumer and satisfying their needs. All these trends have common factors like improving efficiency, relating to the customer on a personal level, and constantly evolving. These principles can be used in many areas of the insurance business, but they’re relevant in how to navigate the increasingly popular InsurTech.